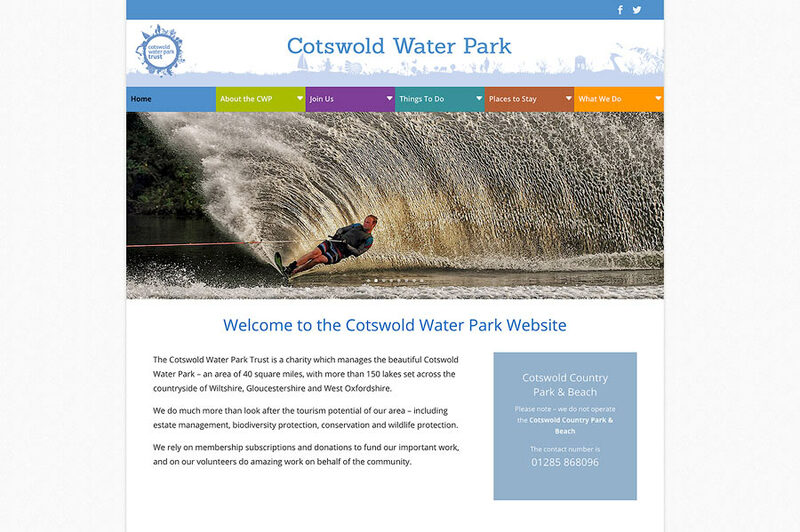 The Cotswold Water Park Trust is an environmental charity which promotes and cares for The Cotswold Water Park. This is an area of outstanding natural beauty spanning 40 square miles and made up of 150 lakes on the borders of Gloucestershire, Wiltshire and Oxfordshire. The Trust decided their existing website was showing its age and commissioned Time To Get Online to produce a new one which was easier to use, projected a more contemporary image and which could be more easily updated.